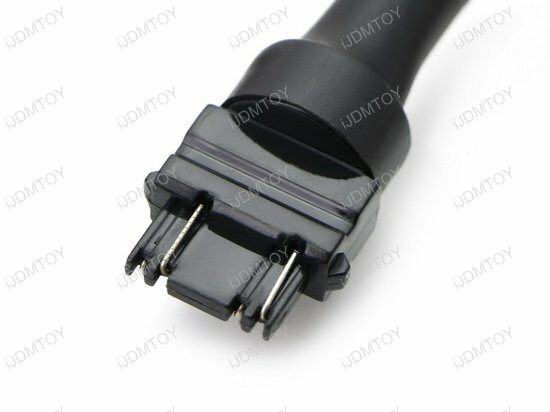 Q: Why is the tab on the back of my adapter broken off? 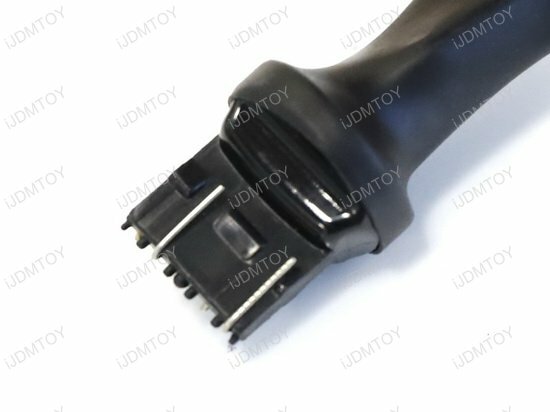 A: Due to the design of this socket adapter, the long curved tab on the back of the adapter is fragile and may have been broken during shipment. 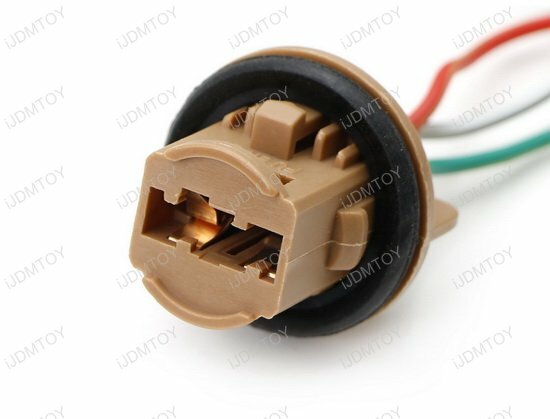 We apologize for any inconvenience; however, the small tabs on the front of the adapter are what will be used for the fitment and the adapter will still fit and function properly and can be firmly installed without any issues. You've just added a brand new set of LED bulbs to upgrade your turn signals or brake lights. 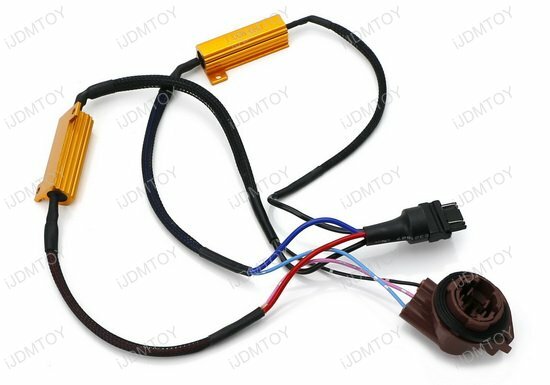 You love how bright they are but discover error messages on your onboard computer or your turn signal lights are hyper flashing. How annoying! These issues are bothersome to deal with but you don't want to uninstall and return them. 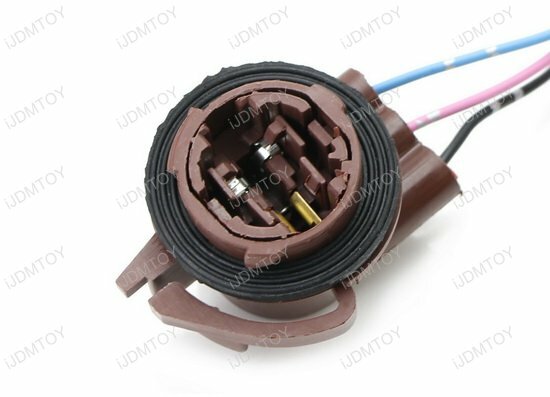 With this hyper flash/bulb-out warning fix wire adapters, you'll eliminate your LED light troubles. 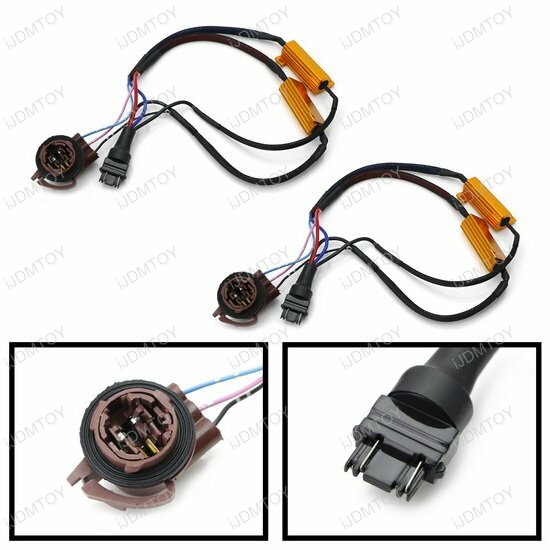 While this is a universal fit product, you may need to modify the wiring kit's sockets or adapters. 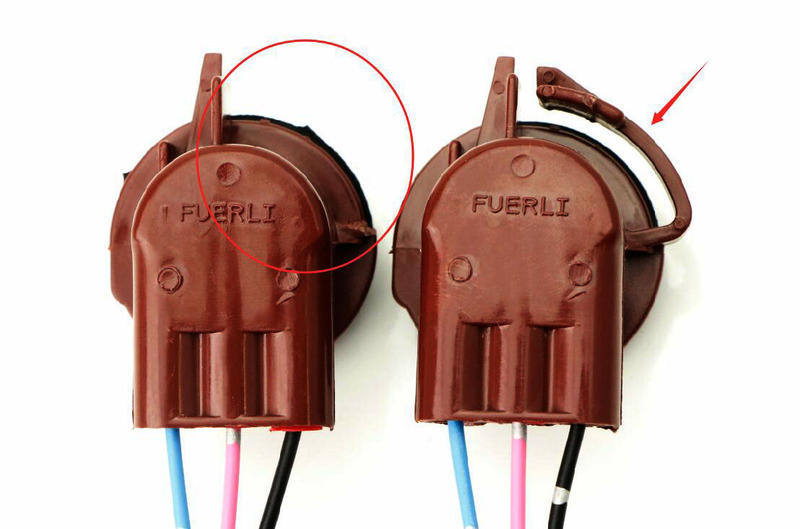 We recommend double-checking your stock harness' sockets with the product listing's images to make sure they match so you can confirm a direct fit replacement. 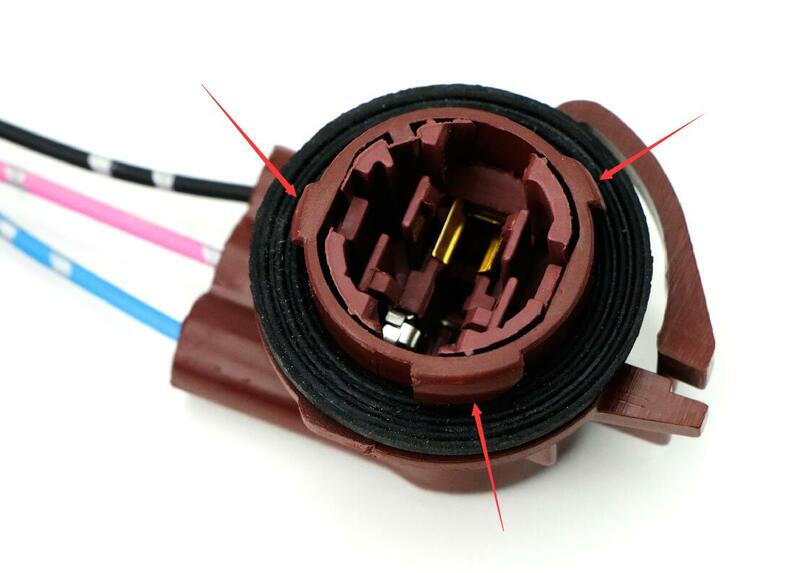 Each wire socket comes pre-wired with two load resistors onto the bulb socket and adapter. 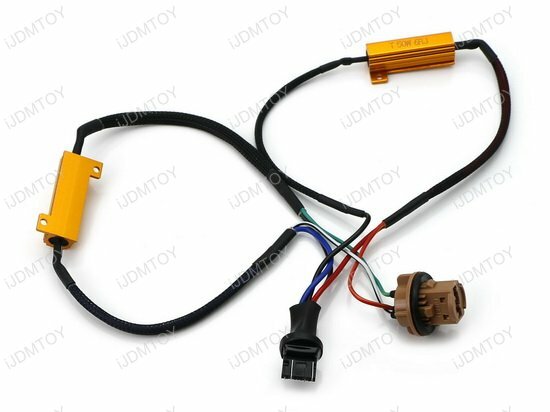 Installation is a simple plug-and-play action set in between your LED turn signal/brake light bulb and your stock harness. LED light bulbs hyper flash and generate error messages on your onboard computer because they draw less power than your stock incandescent halogen bulbs. 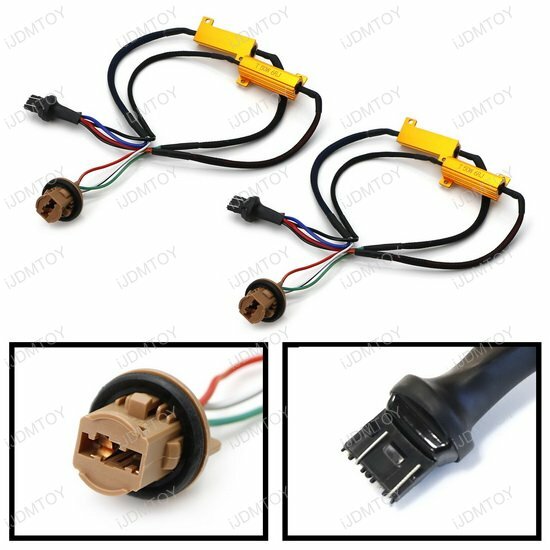 Plugging in the hyper flash/error message fix wiring sockets will normalize your LED turn signal lights' hyper flashing and prevent bulb-out warnings from showing up on your dashboard computer. You won't have to worry about any LED bulb issues, allowing you to fully enjoy your bright and fresh LED turn signals or brake lights!